A lot has been written about a certain object held by two of the Voynich “nymphs”, now affectively called The Thing after a thread by forum user VViews. One of the proposed identifications for The Thing was a spindle, the primary tool used for hand spinning. In a recent post (Spinning: A Thread through Voynich Q13a? ), I gathered all four figures from quire 13 which are regularly identified as holding spindles and compared those to several kinds of spinning depictions. Some of the best matches were found in Greco-Roman imagery. In this post I will link the “spinning” nymphs to my own analysis of these folios. I will argue that the references to spinning have to be read as an extended metaphor about astronomy. Let’s start in an unusual place: a 16th century illustration. Like many other researchers, I had been looking for a visual parallel for The Thing, but something was always missing. Hence, I was surprised to find the most complete match in a work made a century after our manuscript, while generally the best matches are found in earlier art. The three little ladies are the Moirai or Fates, who in Greek mythology spun each person’s thread of life and decided when their time had come. The trio naturally remained popular during the middle ages. The large spindle balanced by the one with the yellow dress (Necessity), however, is atypical, and I have not been able to find any similar illustration. On it are represented the heavenly spheres with the Moon, the Sun, five planets and the fixed stars. Usually these spheres are drawn in a diagram of concentric circles. A similar line of dots is marked on the Voynich objects. It was exactly this line that made the identification as a spindle or distaff not as straightforward as it could have been. Is that the answer then? Does this image explain the Voynich items? The most well known example of a “cosmic spindle” is found in Plato’s Myth of Er. This story is essentially about the afterlife and reincarnation, but it also teaches us a thing or two about Plato’s cosmology. He introduces the spindle of Necessity (Fate), to which all circles of the heavens are attached. Fate keeps the spindle turning in the same direction, and the cosmos turns with it. It is understandable that Plato used a spindle as a metaphor for the spheres that turned around the Earth: spinning was a common activity for women, and the sight of a spindle turning around its axis and pulling on attached threads would have been a familiar one. Thenaud’s text as well as the image the image are not exact renditions of Plato’s text, but there is evidently a strong link. At this point I could take Thenaud’s spindle as proof that the Voynich object is essentially the same thing. But that’s not how we do things here at the Voynich Temple. There are four “nymphs” in Q13a that appear to be holding spindles or distaffs. The items all look different and are held in different ways. Two of them are empty spindles, the other two could be full spindles or distaffs – probably one of each. Let’s have a closer look and see how they match my understanding of the astronomical meaning of these folios. First, there are these two, which I connected in the previous post to illustrate how they can be seen as forming a spinning pair. The one on top symbolizes Ursa Minor, the constellation closest to the northern celestial Pole. The one in the bottom is in many ways her opposite, and her surroundings indicate to me a southern position. The implication here appears to be that the Pole star is invisible. In a recent post, Diane O’Donovan explains that she holds similar views about the astronomical implications of these figures (though not necessarily the presence of a spinning metaphor). If these are meant to be a distaff-spindle pair, or two full spindles, their association with the pole star is obvious; like everything in spinning turns around the spindle, everything in the heavens turns around the Pole. The idea of an axis is also present, since in spinning the spindle and distaff are connected by a thread in an aslant north-south position, just like an observer in a northern latitude would imagine the axis of rotation of the heavens. Jeune fille de Mégare by Louis-Ernest Barrias, 19th century. This is a first important difference with the Platonic Spindle. The Voynich Q13a imagery contains a clear North-South opposition, of which this spinning metaphor appears to be a part. Now the other two are something else – let’s have a look. They are both found on top of f80r, on opposite ends of a row of figures. This is how I read these figures on the constellation layer. The complete analysis is way too long to include in this post, I will keep it short and stick to the spinning bit. The women holding spindles (marked with a green dot) represent the constellations Cancer (crab) and Capricorn. So we get the constellations of Cancer and Capricorn, each holding a spindle, and between them the Sun and the five planets that were known to the Ancients. I assume that the planets are presented here in a strictly astronomical sense, and that there is little to no link to astrology. At first I was rather confused about this composition. Sure, Cancer and Capricorn are opposites on the ecliptic (or Zodiac belt) so it makes some sense to place them on opposite ends of the page. But why the planets between them? And why the spindles? Well, they both have to do with the solstices. A Solstice is “an astronomical event that occurs twice each year (around June 21 and December 21) as the Sun reaches its most northerly or southerly excursion relative to the celestial equator on the celestial sphere.” (Wiki). It is important to know that the Summer solstice was traditionally in Cancer (later Gemini) and the winter solstice in Capricorn (later Sagittarius). Hence, the figures with the empty spindles likely represent the solstices. Since the planets were also seen moving along the Sun’s path, the ecliptic, it is normal for them to be depicted in between the solstices, since those marked their extreme limits, the most northerly and southerly point. This Zodiac has a determinable width … that is why it is described by three circles: the central one is called “heliacal” (hēliakos, “of the sun”). Now let’s focus on the figures themselves – why are the solstices marked by spindles? I first thought these spindles were merely there as an attribute for Philomela, whose story structures these figures on the narrative level. Philomela manages to escape from captivity by spinning, so the attribute is appropriate. Yet she is also depicted without a spindle on the same folio, so this explanation is not sufficient. Now that we know these figures represent the solstices though, we can connect them to the extended spinning metaphor of the constellation level. When a spinner touches the spindle, this is usually to give it a new twist. In other words, the moment we see depicted here is when the spindle stands still for a very brief instance before being spun again. Knowing this, we need merely consult the etymology for the word solstice. It entered English through French, ultimately from Latin solstitium “point at which the sun seems to stand still.” The Greek for solstice, ἡλιοστάσιον, means exactly the same. Allow me to praise the ingenuity of these drawings for a moment – I shall even use an exclamation mark. How appropriate a metaphor! If the movement of the Sun is symbolized by spinning, then is there any better way to convey the momentary standstill of the Sun than the brief halting of a spindle? That very moment when it is touched, only to send it back along its orbit? One last thing. Let’s have a look at the spinning figures, from most North to most South. Remember that spinning implies a progression from north to south. You start off with a full distaff, then you attach the spindle. As the spindle turns, it will pull more fibres from the distaff, making an ever longer thread. In other words, the spindle drops as the thread gets longer. In the end, you’ll have a full spindle and an empty distaff. So, in conclusion, are the Voynich spindles like the one in Thenaud’s image shown at the beginning of this post? Yes, in that they both form a visual metaphor about the Cosmos. But mostly no, because the Voynich system is much more intricate, more layered, and more beautiful. Though I might be biased on that last point. NOTE: This is an anniversary post since WordPress kindly notified me that this blog was opened a year ago today! Koen, I’d agree that there is one ‘spinning thing’ among your examples: the left-hand image of the following pair. Obviously, given that I came to very different conclusions when treating the others, you won’t expect me to agree about the rest referring to spindle or distaff. As I mentioned to you a little while back, you’d need to at least show me that such items are sometimes drawn with equal asymmetry to what we see in those other details. It is strange that – at the end of the ‘spindle-distaff’ discursus – you reach exactly the same conclusion that I did: that the first of those figures is meant for the star that was taken as marking the astronomical North. For those hoping to work from treatments of the imagery to better grip on the written text, I think it is important to talk about whether you think the subject is Ursa Minor, Ursa Major, alpha Draconis or, specifically, Polaris (a star that is still treated as a bit of a nit-pick by some fairly late writers). On a more general note, if you’ll permit it by reason of my venerable wizend-ness: it would create a more effective argument, I think, if you restrict comparative illustrations, and explanations of philosophy and science, to examples that were certainly known before 1438. Otherwise the risk of backward projection (common enough when moderns try to use their ‘common sense’ alone) becomes even greater. All before 1438 the maker can be argued to have known.. sort of. But later is rather dicey and no matter how nicely nostalgic or nicely made, anything that you label 19thC can only raise the suspicion that you could find no better, earlier. My take on these images is that they have at least two consistent layers of meaning. The item I call the full distaff is likely also what you say it is. Just like I cannot produce an image of an asymmetric spindle, you won’t be able to produce an image of something that has all the properties of this thing either. The “why” is simple: it is meant to refer to both at the same time. I reached the conclusion that this figure represents Ursa Minor, the constellation, by following the narrative thread I discerned in the figures on this page. But, naturally, with specific attention for her proximity to the pole, as Aratus already said. This is clear by her being placed on two (!) serpent-lines – which I take to consistently refer to polar circles in Q13a. But also for example the somewhat deeper shade of blue, a stark contrast with the greenness of the one in the South. I think every person has a perfect right to form their own conclusions from the body of their own research. What troubles me here is a certain pattern which has emerged since 2012 in Voynich studies namely that when I do some detailed study of some folio or motif, and come to a conclusion which is uprecedented (but for which the evidence and reasoning has been offered), there has subsequently appeared a reflection of exactly what I concluded, in writings by persons who have – without doubt – read my original posts, but who then seem to feel no obligation to address the original research or explain why they find the conclusion satisfactory but feel a need to create an ‘alternative’ set of explanatory matter, and a set which invariably serves to re-direct attention to the notion that the content of the manuscript is nice, familiar, mainstream, Latin European texts. We’ve seen this happen with “Steve D”‘s adoption and re-assignment of my botanical ids; in a number of persons’ efforts to re-do my detailed analysis of the map to make it seem (as it plainly isn’t) part of the Latin Christian tradition. And one might cite a goodly number of other works which, following mine, conform to that pattern. I have already shown some of the examples that led to my conclusion about the intention of the original maker of this image; explained why it has to be classed as an expression of Hellenistic and non-Christian ways of thought, and even provided a detailed explanation of the purpose for which a Hellenistic geographer-cosmographer would have used that object: the physical equivalent to the ‘guiding light’ of the North. In addition, and in pers.comm. I have provided you with the essential linguistic link which explains why the form of the constellation, and that object, should have been quite naturally associated among a particular people of the Hellenistic period. There can be no objection to a later scholar’s addressing, evaluating and disputing detailed evidence, and conclusions drawn, by an earlier. What is so disturbing is a habit in Voynich studies.. or at least a repeating pattern – of someone suddenly ‘re-inventing’ my conclusions and identifications, but ignoring the original body of evidence and argument while replacing it, post hoc, with some other which makes the whole thing seem not only ‘original’ but deceptively compatible with the “all Latin Christian Holy Roman Empire” theory. Consciously or not, this decision to try using Aratus’ text to explain everything in this section (for which, I might say, there were few suggestions of astronomical reference before my analyses’ and absolutely no detailed treatment and historical argument offered before mine), seems to be another instance of that pattern. Since you obviously accept my conclusion and argument about the ‘nymphs’ including astronomical reference, and also accept my conclusion about which of the nymphs refers to the North marker and which to the South – perhaps you should spend a little time explaining why my conclusions are good, but the evidence and reasoning is not. That would be a fairly normal way to proceed in academic studies, anyway. This is not a personal thing: I’ve queried those who have done the same: I’ve asked Ponzi to explain why and how he decided to accept my identification of that amorphous form as intended for the eastern sea, including India; I’ve asked “Steve D” to explain the reason for his assigning one of my original botanical id’s at all, let alone apparently at random to some other folio .. etc.etc.etc. To be put in this position isn’t impossible to understand, but is unpleasant, as I’m sure you’ll see. I find your comment inappropriate. I have always attempted to give credit when credit is due, so to be compared to people who apparently steal and redirect ideas is not something I appreciate. My analysis of these figures is entirely different from yours. I see them as Aratean constellations placed in a narrative frame of “catasteristic” myth. The authors I consult are the likes of Aratus, Ovid and Hyginus. I reached the conclusion about the North Pole because this folio tells the myth of Callisto, and in the end she is placed at the Pole. Then I started noticing that constellations explained the elements of the drawings that were left unexplained by the mythological narrative. I saw the Ursae and Draco, Hydra, Corvus and Crater. Similarly, I reached my conclusion about the cross-nymph by reading her object as a stylis and hence referring to Argo Navis and hence also to Canopus. Looking again into our personal communication, I see that I was associating the cross-nymph with Canopus in September already, and at the time you didn’t make much of it. You also literally said that I had “dibs” on the Ursa Minor nymph because I mentioned the ID first – you hadn’t published it yet. So I’m getting some mixed signals here. Also, please stop trying to push me into a “Latin European” camp. I have contributed many finds that help to refine and cement the first evocation of the nymphs in the Roman period and the south-east of the Mediterranean. It is not because the matter that I discern is relatively mainstream, and hence some of it still known to medieval authors, that I also believe the work was medieval, or standard classical for that matter. Most of your posts about Q13a are hidden or unpublished, and others you have only published recently. My method and frame of reference is so unlikely to you that you only pay attention when I reach the same conclusions as you have, in which case the only explanation can be that I stole it from you. That may not be exactly what you mean, but it is the message people will take from comments like these. My analyses are entirely my own unless I say so. The object held by the figure you identify with Cancer is certainly a drop spindle and I’m quite sure I’ve seen no mention of it before. I don’t have time to re-read your post again in detail at this second, so forgive me if this repeats the content. It became a fashion, after about 1377 and only in high-end illuminations at first, to represent Virgo in the way suggested by the ‘Arabic’ star-names. This has Virgo the woman with the ‘lance’ but due to an hadith of the Prophet of Islam, on being asked whether women might still go to war as they’d always done, he replied that their spinning was their contribution (I paraphase). This is why the game-cards which are often called ‘tarot’ cards had a figure of that sort for Virgo. I’m not saying Spica (‘the spike’) had never been imagined that way before, but it was usually drawn as a spike of wheat in the Latin works. So might that spindle-bearer be meant for Virgo? If so it would mean I might need to revise my own evaluation of dates for first enunciation of the figures – which, as you know, I also consider astronomical. Wow, I wrote this post precisely two years ago… the cosmic spindle turns so swiftly. Could be Virgo, but I’m not sure if the spindle has to be seen as a literal attribute of the constellation. If there really is a spinning metaphor throughout the images, then I think the spindle symbol would somehow be linked to some cosmological concept (like pole or solstice). The reason why I’m inclined to look beyond mere attribute status here is her anatomically impossible pose. Try holding your arms like that, you’d need to dislodge your shoulders before you get even close. And the unusually foreshortened back leg. I’m not sure what to make of that. But I find this whole row to be problematic. Just think the “queen” in the middle would make a really good Sun, but since I lack confidence about the rest, I’m leaving it be. The figure on the same folio, directly beneath her, would surely make a better Crab, given her round head and the fact that she’s holding literal pincers. The figure bottom right on the same page is much clearer, I think she represents Aquarius, and she’s also part of the extended spinning metaphor since she appears to be combing wool. As to the origin of the figures, my current feeling is that they might still be early, but they have been “processed” by someone at a later date. I can no longer see them as one culture’s unadulterated expression. ‘Anatomically impossible’… oh, no that’s no problem. The ladies aren’t people and they’re not the subject of the imagery. I can give you a clue, but it will sound random. It’s this: * almost *everyone, almost everywhere, speaks of a vessel as ‘she’. Also, you know… what you see as the ‘crab claw’ emblem is also the form of medieval geometers’ dividers. The first lunar mansion in Aries is known by a similar name. The names usedfor those aasterisms’ are in Arabic, but the system is very much older indeed, as Serjeant told us as early as the 1940s. The reason why I draw the attention to the pose is to say that there must be some relevance to it. I like to think of the ladies as actors who were instructed to portray two things at once. In this case, the drop spindle holds no relation to the rest of her bearing. So yes, it’s a separate emblem. What I mean though is that her pose must also bear some significance. There must be a reason that a figure holding a spindle is shown in this way. I agree that the poses must mean something, both in the case of these and in the zodiac section. I recently had a revelation about the spindels while i was revisiting my theory that quire 13 is a world tour of sorts. 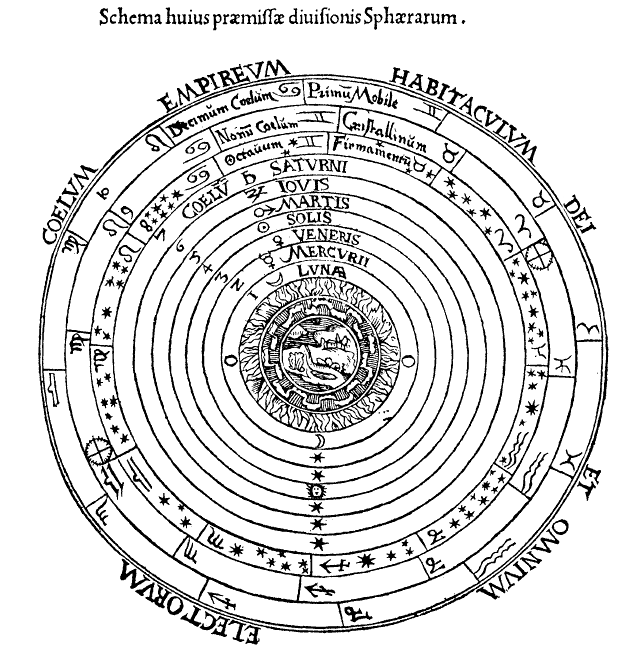 Firstly, there are 5 spindels, a full one, indicating long journey, with the red caput draconis symbol on it to indicate navigation by stars, moon, sun is required, is located on f76v. Note that this fits with the 5 planets moon and sun idea of the spindel in the fates example you posted. But instead it refers to the tables of ascension that help with navigation and timekeeping at sea. f76v pointing in a curve, male nymph is Cadiz, empty spindel on f80r Murcia is the result of the alternate choice of going by river, which curves overland toward that southeast corner of spain via Seville. The Guadalquivir was navigable to at least Cordoba in Roman times, possibly all the way to Murcia prior to that. Later on f82v, we continue on from Gibraltar, this time by way of the Alboran Sea, where the river rainbows and noodles are again depicted as curved. The area of the first half of shoreline from f80r is also repeated at the far right, with the addition of a section of Balearic island in that section of the Sea. Also on f80r is the Genoa spindel. The location is represented again later on f84r as a port with a river attached, and another river attaches it to Venice. The full spindel is on F80v. It actually does double duty, as it points from Lago di Molveno to the spooned lakes Caldonazzo and Levico, and it seems to be involved with both the Genoa to Venice tour and the Danube to the Black Sea route. The area depicted by these two nymphs was then, and until a hundred years ago, part of Austria. The river Adige which flows through will get you to Venice, or one can go via the Brenta, from Lago di Levico. Alternate path complete. The rest of the page takes you on a tour of northern Italian lakes and shows how to get to Lake Constance via the Alpine Rhine through Switzerland to Austria. It is then a hop skip to the source of the Danube in Germany, and lo and behold it is represented on the next page, f77r, with a male nymph involved again, he represents the Danube Delta. This spot is also represented on f82r and the nymph there holds the spindel behind, showing the way she came to meet us, as we got there by going through the Aegean f77v and r, and the Sea of Marmora f78, f81. Alternate route complete. I posted before i was ready but you get the idea. I am still relooking at all the visual clues, i realized some things are more specific than i originally thought. I see you are on a similar route, your visuals could sometimes be plunked right into my own explanations, the blue line from one spindel to the other is perfectly correct with my theory and that line is the Rhine Danube from Italy to the Black Sea.